AADARSH BHARAT is located in Cuttack Orissa . AADARSH BHARAT is registered as a Society at Cuttack of state Orissa with Ngo unique registration ID 'OR/2014/0072254' . 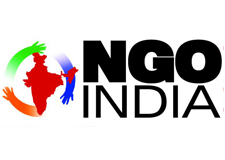 The NGO registration is done by Registrar of Societies with registration number 23540-76 of 2013-2014 on the date of 25-03-2000, Its parent ORganaisation is PaulFoundation. The Chairman of AADARSH BHARAT is Mr Bighnaraj Panda and Chief functionary officer is Mr Janardan Mishra. In the year 1999, choked by downturn from the devastating Super Cyclone, the social sector of Odisha was devastated. To address this issue, a group of young volunteers joined their hands for forming NATURE, now AADARSH BHARAT. Since then the organisation has taken a lot of interesting initiatives to enrich the socio-economic status of the people of Odisha. It is the fourteenth successful year for this social entity with proven track records of charity and social obligation. This year, AADARSH BHARAT got the prestigious award The Best NGO of Cuttack for the second time by Ravenshaw Helpline, Cuttack. While celebrating the one decade of community services to humanity, it launched the SHG formation and in the process has formed 20 Self Help Groups in different slums of Cuttack. It is an achievement in itself. Our commitment for environment continued with developing a Special Neem Forest at Shyampur in Jajpur. Programmes of AADARSH BHARAT like Garbage Clearance Drives and the Campaigning on Rural Sanitation have attracted the attention of the state Government. The innovations continued in having Tobacco Awareness Programme or TAP outreaching the vulnerable and tobacco addicted people. The involvement of college students in this programme has made it more successful. AADARSH BHARAT has over the past 13 years experimented with a variety of innovative ideas like Campaigning on Small Family Norm, Hygiene Promotion Strategy for College, Fight against AIDS, etc. to build and develop partnerships. Some very interesting initiatives have been undertaken and each of these has strengthened the partnership processes. Yet a lot remains to be done. Working with over 2,000 slum children from the vulnerable and weaker sections of society, in the sector of Education, has made a difference for these children who would have otherwise been rag pickets or child labourers, is the qualitative change demonstrated. Couple of years back, two hearing impaired children from AADARSH BHARAT could achieve a rare distinction of winning Silver and Bronze medals at the State Sports, Odisha and proved themselves, impacting their achievement in the differently able sector. The Neem forest of AADARSH BHARAT has gone greener and dense. The project has been a model one for the district of Jajpur. Our Garbage Clearance Drives have attracted more and more volunteers to the Association. Our Fight for Animal Rights has gone on record to stop illegal and road-side killing of animals in Cuttack. The campaigning on rural sanitation has been more intensive. Awareness Programmes on AIDS have spreaded over almost all the districts. There are many other feathers on the head of AADARSH BHARAT which not only establish its credibility but also have sown the seeds of change and impact. AADARSH BHARAT is extremely happy for this performance and hopes to continue in the same spirit for years to come, bringing solace and prosperity to vulnerable. Theories are fine but unless theories take practical avenues of demonstrated results, the theory, remains theory only.